Want it by Thursday 25th April? Order within 10 hours, 48 minutes and choose Royal Mail Tracked 24 Hour at checkout. 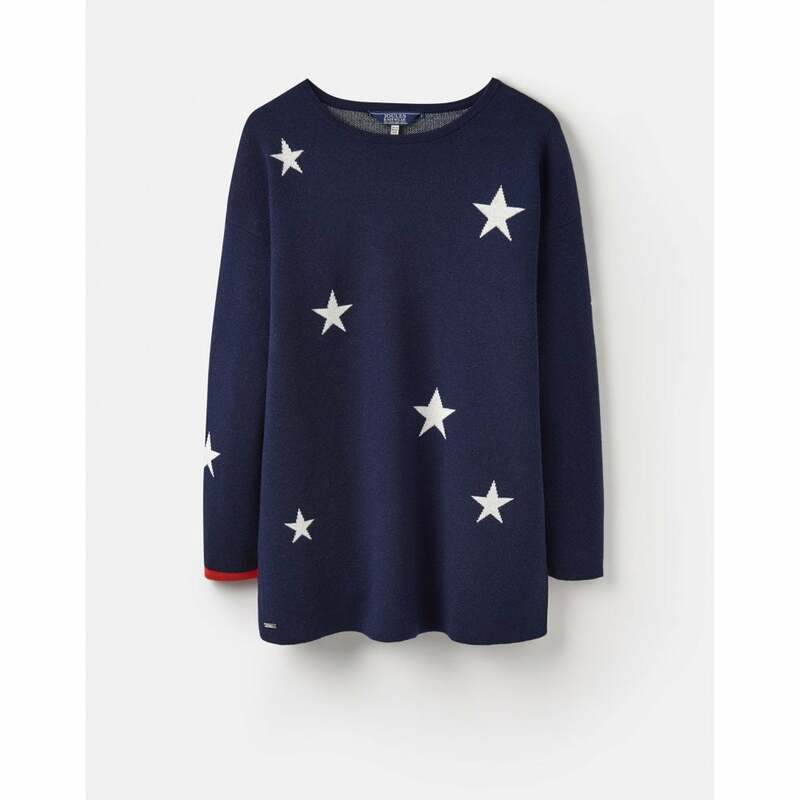 Feel cosy on those crisp spring days with this lovely navy jumper features scattered white stars and red contrast tipping. This flattering relaxed fit jumper, is perfect to through on and look amazing!